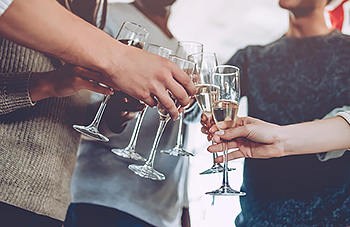 A recent NPR survey found that 1 in 4 Americans confess to drinking too much at the office holiday party…and embarrassing themselves as a result. And, 80% of survey respondents also say that they have witnessed coworkers drink too much at holiday parties and act unprofessionally. So how does H.R. expert Rob Wilson advise companies and workers to handle these holiday pitfalls in the workplace?